Either way, now that there are so many sweet kiddos in my life, I’ve been thinking about crafts and activities that would make sleeping under the stars as magical for them, as it was for me- BEFORE there was texting, handheld video games, and before anyone had come down with Bieber-Fever. 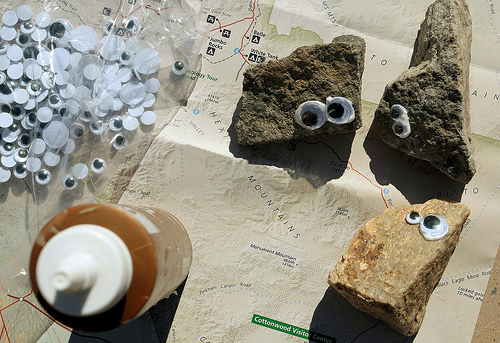 For a fun craft that kids a little younger than eight, (4+) can enjoy, I recommend throwing a bottle of craft glue and a bag of googly eyes in your backpack and making a some rock friends when you get to your campsite! Young kids don’t always have the attention span to appreciate a craft that takes more than a few minutes. 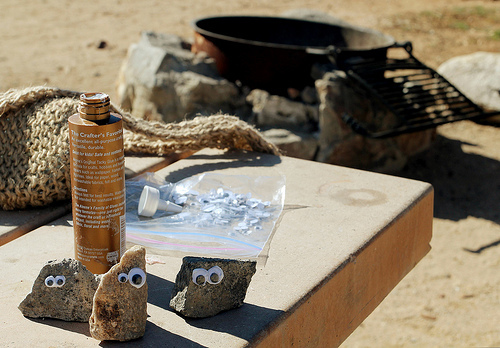 Asking them to collect a few rocks around the campsite, or shells off the beach, and then letting them glue on the googly eyes is a fun and fast way to keep the little ones excited about being away from home. Take the kids on a walk, or feed them lunch while the glue sets. Later, place the new rock friends around camp. 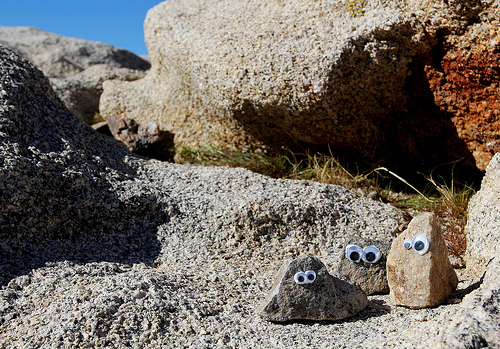 Kids and adults will get a kick out of looking for the rocks that are also looking back at them. 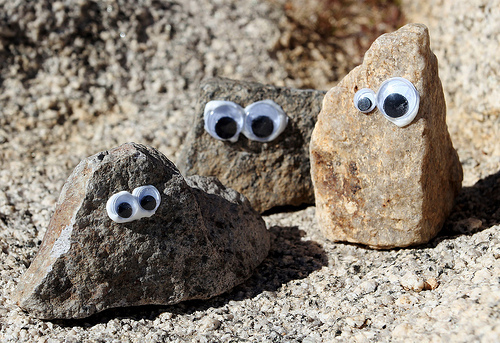 I wouldn’t recommend leaving the googly-eyed rock friends at camp when you leave, (although if I rolled up to a campsite and found this trio welcoming me, it would be one of the happiest moments of my LIFE- BUT…) if left in the elements for too long, the eyes and glue may eventually break down and become litter. And do you really want to be the camper who takes only photos, and leaves only footprints… AND eyeballs? Take your little friends home. 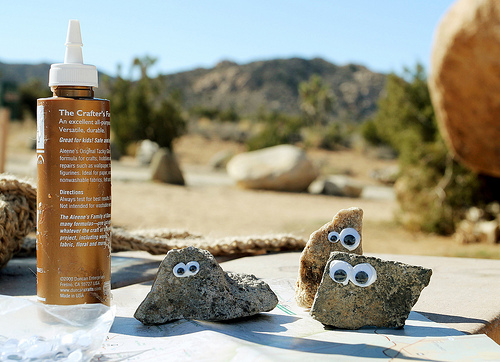 They will be a great reminder of your fun camping trip, and a fun addition to the household. Oh- one other teeny weeny note on collecting items while camping… if you are camping in a National Park, please do not collect rocks, plants, flowers etc., it’s illegal. That said, happy crafting, happy camping! Very simple and creative. Love the idea! I love it. My husband and I grew up camping. You’re pictures are great too! Fantastic idea. My 7 yo daughter and I love collecting rocks – this activity will take our passion to the next level! Thanks friends!! Happy camping Glad you like the idea!! You are so cute. i love this! And the eggs- so fun. and the bottles to water plants! you’re like a regular mcgyver! 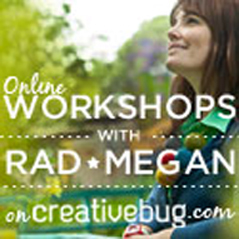 I just happened upon your blog (thank you, craftgawker, you made my day!) and am happily browsing away… This post inspires the leprechaun in me. What if you used paint for the eyes and then left those little fellas for others to find? I reckon I gotta go and find myself some pebbles, to hopefully make a random stranger smile! So cute and such great photos. I’m creating a camping crafts post over at my blog. 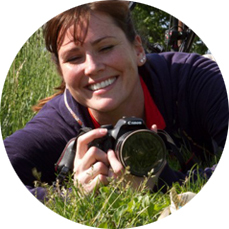 Would you mind if I linked back to you and posted one of your pics? 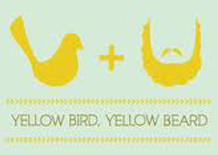 (I promise to give credit Great site!